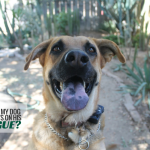 You are here: Home / Opinion / Is There Really a Best Breed For First Time Dog Owners? Is There Really a Best Breed For First Time Dog Owners? “What’s the best dog for a first time dog owner?” I’ve seen that question so many times on forums and no one’s shy about sharing their opinions on the matter. But what if we changed that perspective just a little bit? What if we went out and met some dogs in person rather than asking a stranger? Is There a Best Breed For First Time Dog Owners? 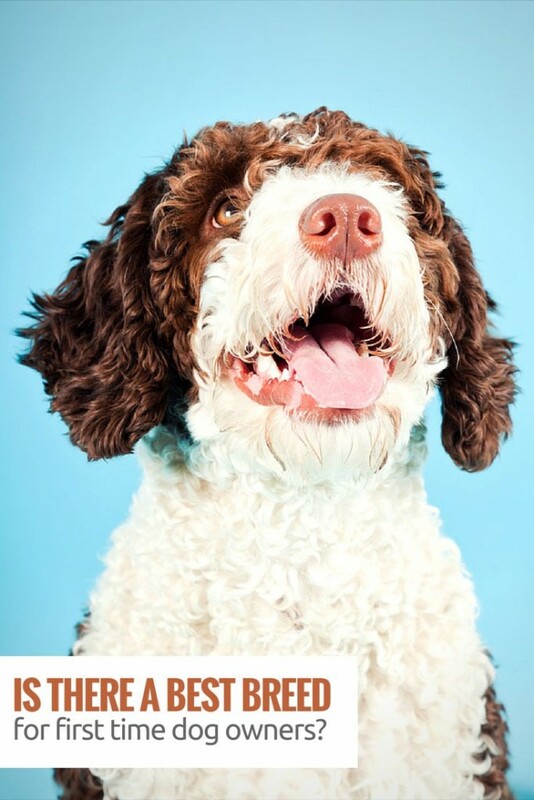 There’s always been something that feels “off” about all of those best breed lists; especially when it comes to trying to find the perfect breed for a first time dog owner. I’d like to imagine there’s a lot more to a dogs potential than just his breed. I think it’s much easier to match an owner with a great dog based on that dogs individual personality – not just the pedigree or assumed breeds we attribute to mixes. I’ve often wondered if mutts are getting the raw end of the deal when it comes to telling people to “research breeds” before choosing a dog. Don’t get me wrong; it is excellent advice & finding a dog that fits your lifestyle is exactly what you need to do. But the results themselves are limited to a handful of breeds – and with millions of dogs in shelters I’d like to think they also deserve a chance to show their potential. When you start researching the “best breeds” for first time dog owners you’ll end up with a bunch of top 10 breed lists & you’ll probably take a few of those “find your perfect breed” quizzes. 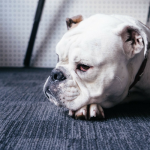 While that might be a good start to familiarize yourself with breed characteristics they tend to limit your search to just a few specific breeds. Each owner is different, even when it comes to first time dog owners. There isn’t a “one size fits all” perfect breed for everyone. A first time dog owner whose hobbies are jogging and bicycling is going to do better with a much different dog than the first time dog owner who enjoys reading the paper & watching hours of television each night. Out of curiosity I tallied up the breeds listed from the 10 most popular “best breeds for first time dog owners” posts on Google. I planned on doing a lot more but honestly I can only stand looking at a couple ‘go to page 2 for the next breed’ posts at a time before I start to get angry – but that’s a topic for another day. As expected there were a few breeds that made it onto every list, but there were also a few extremely questionable ones. You’re going to recommend a Vizsla or Australian Cattle Dog to a first time dog owner? Of course it can work out but those two wouldn’t have crossed my mind unless the potential owner wanted a hunting buddy or lived on a farm. According to the “top to breed lists” I analyzed two breeds showed up on every single list – the Papillion & Poodle. So if we were to go by what the internet tells us first time dog owners should just stick with getting a Poodle or Papillion. In second place were the King Charles Cavalier Spaniels, Golden Retrievers, Labradors & Pugs which made it onto 9 of the 10 lists. 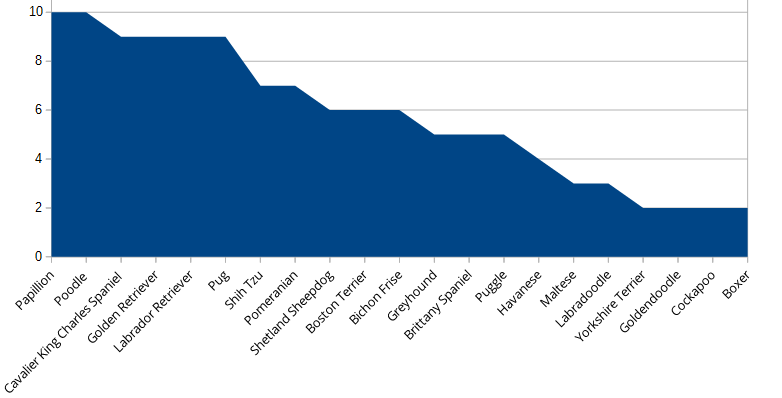 Data Taken From 10 Best Breeds for First Time Owner Lists. These top ten breed lists for first time dog owners have working dogs, sighthounds, toy dogs, herding dogs & designer breeds. It doesn’t feel like a natural way to clump dogs together. There’s a big difference in dog breeds in these lists, but there’s also a huge difference in first time dog owners. There’s such a huge variety of dogs listed in these lists, and I find it hard to imagine that any one person would do perfectly fine with either a Yorkie or a Lab. They’re both great dogs, but they’re suited for different lifestyles, and the last time I checked being a first time dog owner isn’t a one size fits all lifestyle. I have nothing against any specific dog breed; what I’m uncomfortable with is telling people which breeds are right for them. There are just too many variables involved. The age of the dog, size, the dogs personality, willingness of the owner to provide adequate mental & physical exercise. Labradors have been the most popular dog in America for ages. They’re generally even tempered and easy to get along with. That being said they can be quite a handful. When’s the last time you were around an adolescent Lab? They make excellent family pets with enough exercise and mental stimulation, but if they get bored they can become quite destructive. There’s a huge difference between adopting a puppy vs an adult dog. If there’s a breed you’re interested in but don’t think you could handle their puppy or adolescence phase look into adopting an adult or senior. With older dogs what you see is what you get – the dog you meet is the dog you take home. Shelter pets make amazing companions. This is Liberty who was adopted from a shelter in 2012. 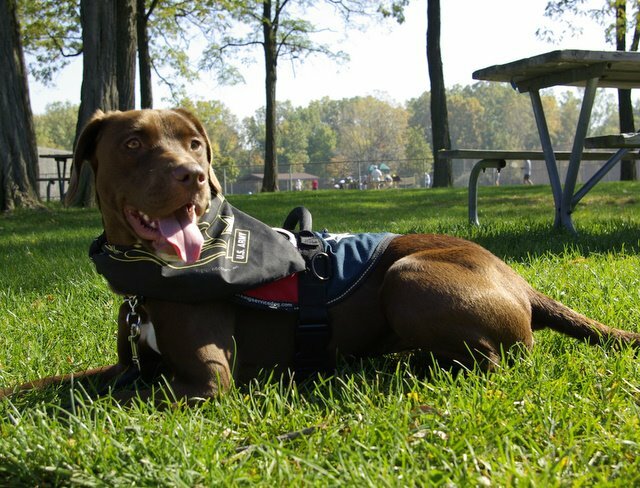 She’s since completed her service dog training and has been placed with her handler – a veteran with PTSD. We shouldn’t assume that there’s a ‘perfect’ breed for any given situation, just as there’s not a ‘perfect’ owner for every single dog. The Fairfax County Animal Shelter in Virginia recently removed their breed labels from their adoption kennels. The result? Potential adopters spent more time asking questions about the dogs, giving the shelter staff the chance to explain the importance of getting to know each dog as an individual with it’s own unique personality traits. Of course we should do our research when it comes to getting a new family member. You need to consider the size of the dog, sociability, age, trainability, activity level, and health. But what we need to avoid is clumping dogs like Labs & Bichon Frise’s into the same “best breeds for first time pet owners” category. The oversimplification of choosing a dog based on a top 10 list is worrisome. Caring for a dog is a 10-15 year commitment, and I don’t a top 10 breed list is a great predictor when it comes to finding your new best friend. Dogs come in all shapes, sizes & ages; and even among litter mates you see plenty of differences in personality. And what about all the dogs that don’t make those lists? Should they immediately be taken out of consideration? I wouldn’t recommend a Border Collie to most first time dog owners – but what if someone is thoroughly prepared? What if they’ve done their research and are looking forward to finding a great agility dog and jogging partner? And what about those of us who’ve had dogs before? Does the fact that you’ve owned a dog mean you’re ready to take on a dog that’s more “challenging?” I know plenty of second, third, or fourth time dog owners who weren’t prepared for the dog they ended up with. What’s right for one owner isn’t right another. Potential dog owners shouldn’t feel the need to narrow down their search to one or two specific breeds when there’s a ton of great dogs out there to choose from. If you have any doubts at all take a look at your local rescues where the staff and volunteers can help you find a great match. Their dogs are often fostered which gives you an insight into what that dog is like in a home environment. I don’t think you can make a much safer bet than that. If you have your heart set on a specific breed check to see if there are any dog shows or events coming to your town. Talk with various handlers, breeders, and trainers who’ve worked with the breed for awhile; they’re going to be able to provide you with all sorts of breed specific knowledge. With the millions of dogs available it’s important to keep in mind your perfect match won’t always come from a top 10 list. The perfect dog could be waiting for you at your local shelter. Don’t be discouraged when it comes to finding your first dog, I know the search can be daunting. Rather than just thinking of one or two breeds that might be right for you consider going through a rescue to find the dog that’s right for you. And if you’re set on getting a purebred pup go out & meet some breeders & go to dog shows. 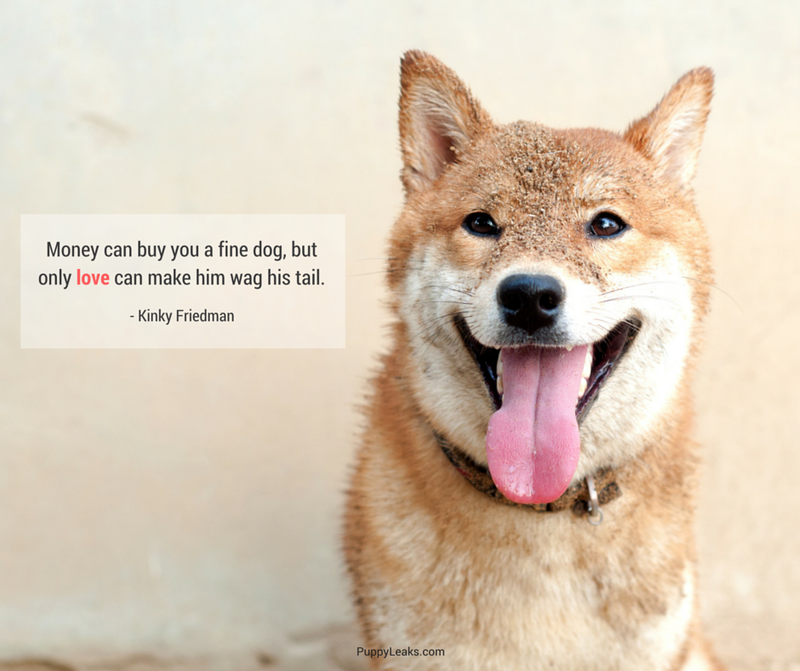 Get to know the dogs, make sure they’re the right fit for you before making that commitment. The right dog is out there for you, it’s just going to take a little more than reading a top 10 list to find him. Some on the list are not “breeds”. The reason people recommend breeds as that you have a much better chance of knowing what you are going to get when you choose a specific breed. The breed traits are passed on and replicated generation to generation. That is not true with a designer dog or a mix. You are less certain to know that cute calm puppy will grow to be cute calm adolescent or adult. With a particular breed you have a better idea as long as you have picked a good breeder. Labs are great family pets. If I were going to recommend a dog of that size to a first time owner it would be Lab or Golden (but Goldens have a lot of cancer these days so I might hesitate). There are calm labs. Not all are wild. I know quite a few calm ones and again that depends on breeding. You are less likely to get temperament issues in labs even with backyard breeders (not that I am recommending those). I think an even temperament is the most important thing for a first time owner. An even temperament is definitely nice for novice owners indeed. It’s really surprising how many of the those designer breeds are being recommended these days. I haven’t known a ton of Labradoodles but the 3 I know are all pretty damn hyper. Labs are awesome family pets – I just think that people assume they’re probably “easier” because they’re so popular & they might not realize how active they are (or that they need stuff to do). Some shelters use a color coding system to share the traits of some dogs. So if you know you’re looking for a dog to hike with, you won’t pick out a couch potato. I’ve only read about it and never seen it in practice. But I always thought it was a great way for knowledgeable staff and volunteers to help newbie dog people pick out the right companion. And yeah, those best breed lists make me crazy. I hate when people assume Honey is such a good dog because she’s a golden retriever instead of because we spent hours in training, including time spent with professionals. I love the color coding system. The Michigan Humane Society (well at least some of their centers) do, and it makes it so much easier to narrow down the search. Something about those top 10 lists really bug me. And it is surprising that people assume Labs & Goldens are such easy dogs to own – they are awesome – but they’re working dogs. I wish there was an easier way to answer this! It’s really hard because most of the time people don’t really know what they want anyways! Like one of my friends is a nurse, works two jobs and wanted a border collie or some other crazy high energy breed because they are supposed to be smart. 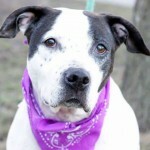 Luckily, I was able to talk her out of it and she ended up getting a mix breed from a rescue who is pretty mellow. I think that if you are really curious about a specific breed to go to dog shows and speak to breeders, owners and handlers. That’s how I found out Ibizans were probably bigger than what I really wanted. I also ended up dragging my husband to a race meet so he could meet the whippets because I love that breed but he wasn’t crazy about them. After the race meet he was totally on board! I actually do think that greyhounds would be perfect for first time owners. They are lovely dogs and so many need homes. I love that you mentioned Greyhounds, I usually don’t do any breed specific posts but I loved doing the “Reasons to Adopt a Greyhound” one because they really are chill, mellow dogs that make awesome companions. Pretty low maintenance indeed. And it is so sad how many of them are in need of a home. Love the suggestion of talking to handlers & breeders – it’s a great way to learn all about any given breed. I definitely agree w/ the concept of your post; every dog is an individual and every person’s lifestyle is a bit different. At our shelter we do list the breed/breed mix and I think it’s important information to have. With mixed breed dogs, if you can identify one or two breeds they are likely mixed with it’s very helpful. Breed characteristics are important for sure, but it’s important to measure that against the person’s lifestyle and ability to handle the breed. We had an elderly lady at the shelter who walked with a cane that insisted on “rescuing” a super high energy Pit Bull/Lab mix. She hadn’t owned a dog in many years, lived alone and clearly could not handle this dog! We strongly discouraged her from adopting, and later adopted the dog out to a family who had just lost their Pitbull after many years. They understood how to train and handle a larger, high energy dog. We made the determination based on lifestyle conversation with both adopters. Great post, thanks! I’m glad to know the high energy dog ended up with a family, I’m assuming that dog probably wasn’t a great match for an elderly woman with a cane. It’s really tough to walk that fine line of giving friendly suggestions to potential adopters, I definitely admire what you do. I remember when I volunteered at a local shelter I saw an elderly couple come in and fall in love with Border Collie mix pup. It was tough trying to figure out the way to explain why that dog probably not a great match for their lifestyle. It’s really tough because people fall in love with certain dogs (and puppies) so quickly, I’ve certainly done it my self – Laika was adopted impulsively. We recommend people research breeds and the commitment it takes to parent all dog breeds. I do not think any puppy is easy – they all require socialization, training and exercise (mental and Physical), they chew they poop and pee etc You should not look at a cute puppy face and hear that it has been sweet for 5 days in the shelter and make a decision? Even an older rescue can have ingrained bad habits. As traits are often passed along, it is good to know what certain breeds were bred for and traits they may display like herding dogs and terriers and malinois for example. That is science based? Knowing breed info can help inform your choice when making sure you get the right dog for you in terms of age, stage, lifestyle, space, time, budget etc. Labs can make great family pets but need exercise. They can be very calm with good breeding and training, or luck and training if you get from a shelter. Pugs are adorable but have lots of quirks, demands and issues in common I had no idea about before I researched then got Kilo. Chihuahuas are so cute but can be quite high maintenance- not an accessory. Doing research before would stop a lot of dogs going into shelters in the first place. I’d love for people to make great decisions about owning pets; stopping the cycle of surrendering pets to shelters is something I’d love to see. And I agree research is extremely important, and so is reaching out to the different shelters, breeders, and rescues in your area to find out as much as you can about the dogs. And as you say a lot of the times when adopting a mix it’s hard to say what breeds they might actually be – they guess as well as they can but some dogs don’t look like you’d expect. I totally agree with you. Pets have individual personalities and have been through different experiences in life. Breed research is valuable, but it is far from a whole picture. It is like saying you know what a human will be like because of their ethnicity. Every pet owner’s situation is different too. We all need to have pets that are a good fit for our lifestyles. 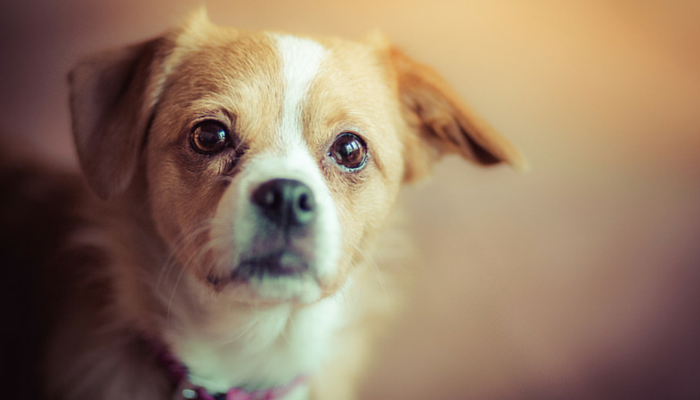 Mixed breed pets are just as valuable as purebred pets. Going and meeting the pet in person (and talking to the volunteers at the rescue) is the most helpful thing that you can do. Love your point about saying you know everything about a person due to their ethnicity; I completely agree. After meeting so many pets it’s quite clear to me that they’re full of surprises, and they’ve all got their individual quirks & habits, for better or worse. Love this! I try to steer clear of writing lists and things of that sort about particular breeds of dogs because I don’t want to promote stereotypes. I’ve worked with all kinds of dog breeds, and yes I do notice similarities with all of them. BUT, these characteristics may not be true for every single individual dog. There are always suggestions. I just don’t like clumping them together with one label. Interesting finds on your research. I see some dogs on there that I’m not sure I’d necessarily recommend, but any dog can make a good pet. I really don’t like promoting stereotypes either, it’s such a dis-service to so many breeds. Very interesting. I grew up with a Collie and I loved him. My sister had a Cocker Spaniel and my mom had a Pekingese. They were all unique in their needs, but were all great dogs. My mom has a ShihZu mix and he has so many problems (allergies, skin, digestive). I do think it’s important to do your research, but it’s also important to let the dog pick you, too. Thank you for a nice post. I’ve always been a fan of letting the dog pick you, though I can see why some people wouldn’t be. That’s pretty much how I ended up with Laika and she’s been the most challenging-yet-awesome dog to raise, and she’s ended up being a perfect companion. Also, people should really know themselves. It not only depends on the dog, it depends on the character of the potential owner. That’s why “what was good for one owner, is won’t be for other”. Oh, and I certainly wouldn’t get a Collie. too much energy and care! That’s what’s amazing about dogs – even when it comes to the same littler you’ll have very different personalities. That being said I love advocates like you for specific breeds – you’re help raising awareness about Goldens & let people know what it’s like to own one. This is a really fantastic article. Even if you’re set on a certain breed of dog (or cat), all animals are individuals and will have their own personalities, so there are no promises that a dog of a certain breed will be exactly what’s right for you. I agree that when choosing a new family member it is important to get to know the dog or cat as an individual. Spend some time with him/her and see what he/she is like, ask questions of staff at the shelter, etc. I believe that when your heart is open, you will find the perfect match! Great point about having an open heart about the decision – there are so many wonderful animals out there waiting for homes, most people can probably find a great match closer than they might guess. Excellent article and very interesting. We have Siberian Huskies – definitely not a breed for everyone. Their needs do not always suit everyone’s lifestyle, so it’s important to do homework on the breed first. I so agree, and have always said education is key. Learn about the breed first, talk to other families, visit them in rescues, foster! Sometimes they turn out to be exactly what a family is looking for, and many times not. We have also had many mixed breed rescues…and it’s great advice to go visit and see if the dog is “the” dog for your family. 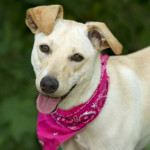 So many to choose from – full-blooded or mix – but knowing it’s the right dog ensures that dog will have a loving, forever family and both the dog and family will share that loving, special bond! I couldn’t imagine having a Husky – I’m in awe of your dedication to the breed and love knowing that you’re a great advocate for them – in both educating people about their care & letting people know what it’s really like to own one. Excellent viewpoint on the breeds and potential pet parents. Some people work very hard on their relationships with their pets and can make the most undesirable breed to others seem like the best. I love that view; I’ve known so many dog owners that have made excellent companions out of dogs I would have originally guessed to be a bad fit for them. Goes to show I shouldn’t be so quick to judge, everyone has a different level of commitment when it comes to caring for their pets & the breed itself doesn’t necessarily change that. I totally agree! People are always asking me what they should get, I always ask what are you looking for? Active? Smart? Independent? Grooming? I almost always tell them to go to a rescue and ask them to help them find a good match. They are always shocked until I say that most rescue foster out their dogs so the fosters know the dog intimately and can give you the personality quirks for the dog. This is a great post. I always struggle with the best breeds because of all the things you listed. Another problem with the “best breeds” is they are often so popular and readily available through backyard breeders and puppy mills. When that happens, there may not be any temperament testing and concern for the long term health of the puppies. One of the advantages of adopting an adult dog is it is easy to find the right match for your lifestyle. Leaving aside breeds that are big, powerful and aggressive, so much of the real question isn’t so much about experience as much as expectations, lifestyle and commitment to continuous learning on how to be a good dog owner. For example, there are a lot of great herding breeds, but Inexperienced dog owners who buy a herding breed puppy and don’t realize the amount of exercise, time, and attention these dogs need to be stable, happy and well-behaved are.in for a painful awakening — unless, that is, they’ve done their homework in advance and are ready and eager to .adopt a lifestyle consistent with the dog’s needs — because the dog can’t effectively adapt to their family’s needs if they are inconsistent with their emotional, cognitive and behavioral makeup. Frankly, I blame breeders who don’t screen families well enough. Beyond that, until all shelter dogs are rescued, breeding should be highly restricted. Adopt! I definitely agree with your statement about expectations, which I think why I get so upset by all the lists you see stating just what the best breeds are.. There isn’t always going to be one perfect breed for everyone that’s the problem. If you have an adopter whose active, home a lot and willing to put in a lot of time for training there’s a ton of dogs that would do awesome in that environment. To generalize everyone that is a first time dog owner and assume they’d all benefit from the same 10 breeds seems ridiculous to me. I adopted a border collie from rescue as a first time dog owner AND I lived in an apartment so I didn’t have the “easy out” of a yard to exercise the dog in. But it worked perfectly for us – he was very calm and well behaved inside the house so I never worried he’d destroy something or steal food out of the cupboards (which was well within his capability but he understood that he wasn’t allowed to do that). He did need a lot of exercise and mental stimulation not to get bored, I used to take him for 2 hour long brisk walks with lots of uphill sections (really tired him out walking quickly uphill) and play fetch / tug offleash somewhere safe & enclosed (he had no road safety awareness) for at least 30 mins each day. He also got plenty of 10 – 20 min pee breaks just walking around the block slowly to let him sniff everything (he loved to shuffle along with his nose glued to the ground like a hound) and training sessions inside the house where I’d teach him complex tricks and practice those he already knew. When I left for work I’d hide treats around the house and a stuffed kong, plus he had a puzzle ball that dropped treats when rolled around the floor so he had something to do other than just wait for me. Awesome example of how there isn’t really a right or wrong answer when it comes to the “right dog” for every first time owner. He really was the best dog ever, so well behaved and so easy to train, even a total novice like me found it easy. Truth is I didn’t go to the rescue looking for a border collie at all. shepherd cross or a labrador cross as being a better fit (plus I really just loved the look of German Shepherds). However when I got there, he was silently staring at me while all the other dogs were barking their heads off at each other. He was like the eye of the storm, totally calm. I thought “yep this is my dog”. And ignored the voice of reason in the back of my mind going “but he’s a border collie… aren’t those super hyperactive…?”. Despite all the warnings against it, and all the research I’d done, I came home with a purebred border collie – and I still think it was the best decision I could possibly have made. Aww that makes it even sweeter 🙂 The heart really does know best. I’ve had that feeling as well when it comes to adopting dogs. I wasn’t out looking to adopt a young Shepherd mix, but as soon as I met Laika I just knew she was going to be coming home with me. Serious gag here. At least eight of those breeds have severely bad health problems. Honestly, people don’t want short lived, high vet bill, unhappy pets. Advice, go to the shelter. Find a long nosed, square, young adult dog with huge nostrils and a large head and a coat appropriate to your clime.